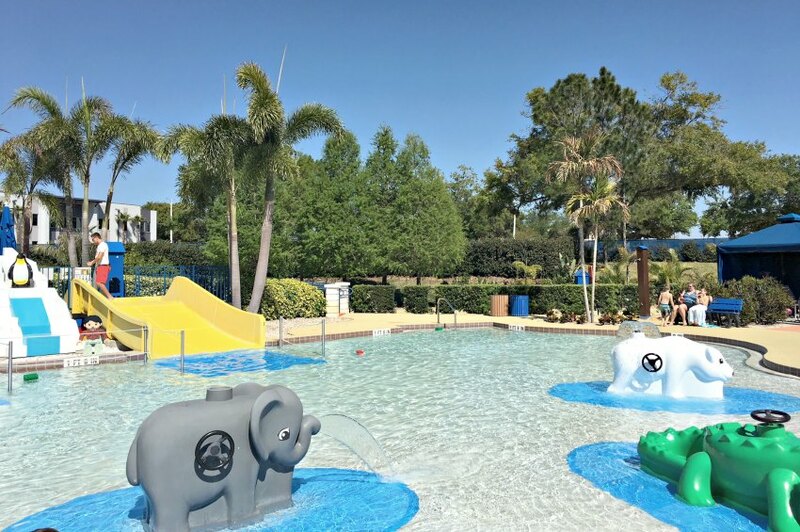 Did you know there is a water park at Legoland Florida? True story! We had a chance to experience the fun on our last visit. If you are planning a Legoland Florida water park day, I’m here to answer your questions and hopefully help you have a great time. Tucked at the back of Legoland Florida Resort, there is a sidewalk leading around a corner and past a mermaid fountain. If you reach this part of the park, you’re in for a treat because just beyond that fountain is the entrance to Legoland Florida Water Park. It’s one of those, ‘if you don’t know it’s there you’ll miss it’ things and trust me, you don’t want to miss it! We had a great time exploring Legoland Florida Water Park. I’m going to share our experience with you and hopefully answer lots of your planning questions. In a word, the Legoland water park is awesome! Thank you to Legloland Florida for providing our media tickets. Where is Legoland Florida Water Park? If you didn’t know there is a water park in Legoland Florida, you might miss it. I love that it feels like a little oasis and almost like a hidden land. Legoland Florida Water Park is actually within the regular theme park, which means you can’t get there without first walking through the park. This is important to mention because you won’t be able to choose between purchasing a water park ticket or a regular theme park ticket, but I’ll get to that in a minute. To get to the water park, you’ll walk all the way to the back of the park and follow the path to the mermaid fountain and then you’ll see the entrance in the photo above. It sounds like a dream right? You can download a park map here. My family loves water parks and specifically lazy rivers. I personally think the lazy river at Legoland Water Park is the highlight of the area because not only can you float around and relax, you can also grab onto some giant bobbing Legos and build right on your raft! I also enjoyed the wave pool and raft slides with my oldest, while my husband stayed and played with Calvin at the wave pool, play table and small slides. 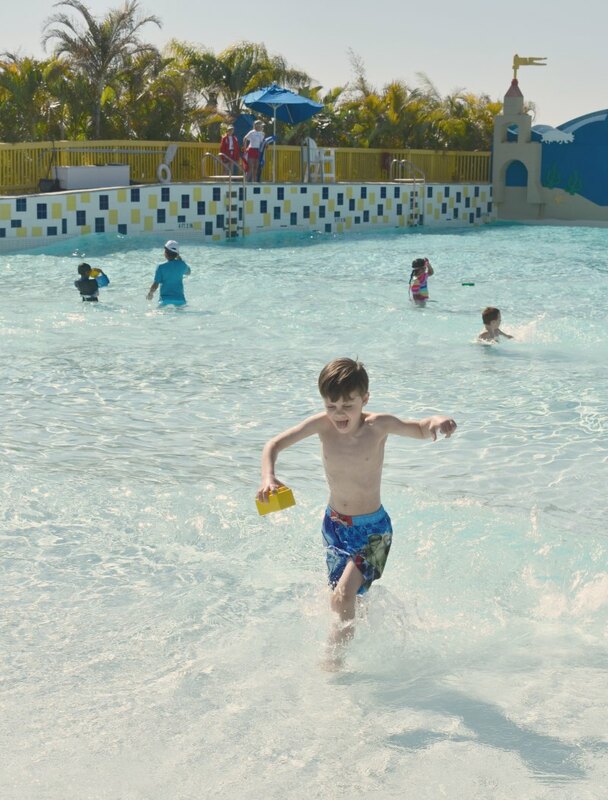 The Legoland Water Park isn’t a large area but it’s a great place to cool off in the hottest part of the day! Plus, there are plenty of showers and changing rooms if you want to dry off and go back out to the main park. There is a restaurant and an ice cream stand as well so you’ll be all set for snack breaks as well as a small surf shop with items like towels, swimsuits and sunscreen. Because the water park is located within the larger theme park, you’ll want to be strategic about what you bring in your day bag. I recommend wearing regular clothes if you plan to play at Legoland and then change into swimwear. That way you already have something dry to change back into and you don’t have to pack it. Swimsuits fold up nicely! You’ll also need your own towels and sunscreen. My family also likes to wear water shoes when we spend a whole day in a water park but if you’re just going for a couple of hours, you might not need to bother. If that sounds like a lot to carry around, I recommend packing a water park bag and renting a locker for the day. Lockers are available inside the water park so you could drop your bag when they open in the morning and come back to it whenever you are ready. Current locker prices start at $9 for the day. Even though it’s located in sunny Florida, Legoland Water Park is not open year round. That said, the 2019 season is about to kick off so if you’re planning now, you’re just in time! 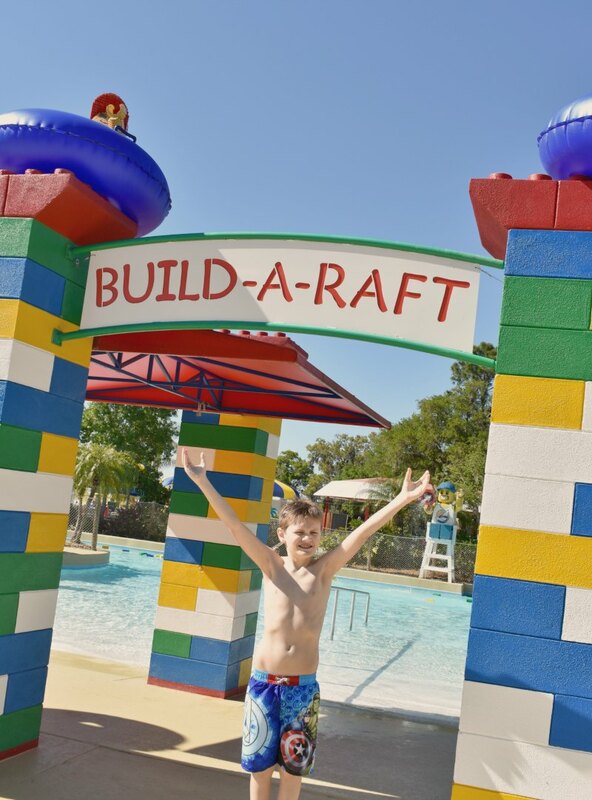 The 2019 Legoland Water Park opening day is March 9, 2019 and the park will be open most days through October 2019. The hours do vary slightly from day to day, so be sure to check the calendar before you go. 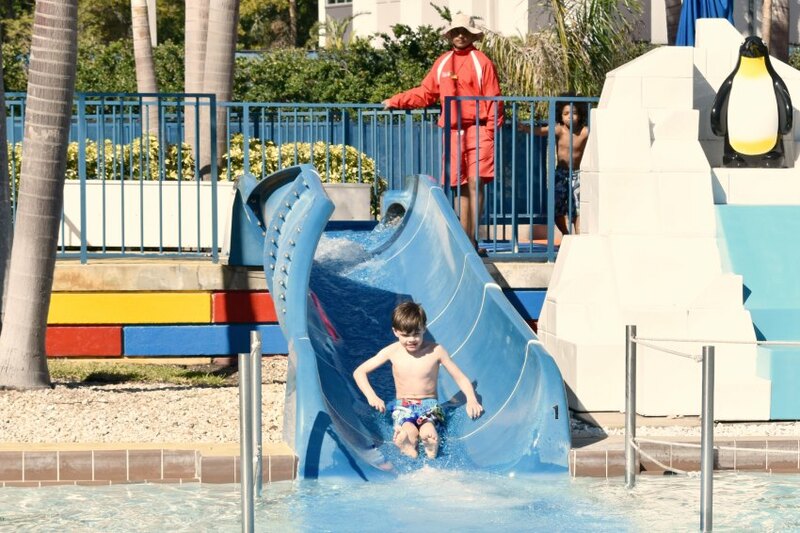 When you purchase your Legoland Florida theme park tickets, you have the option of adding water park admission. Roughly, it’s about $24 additional per ticket. Is Legoland Florida Water park worth the price? It really depends on what you like. 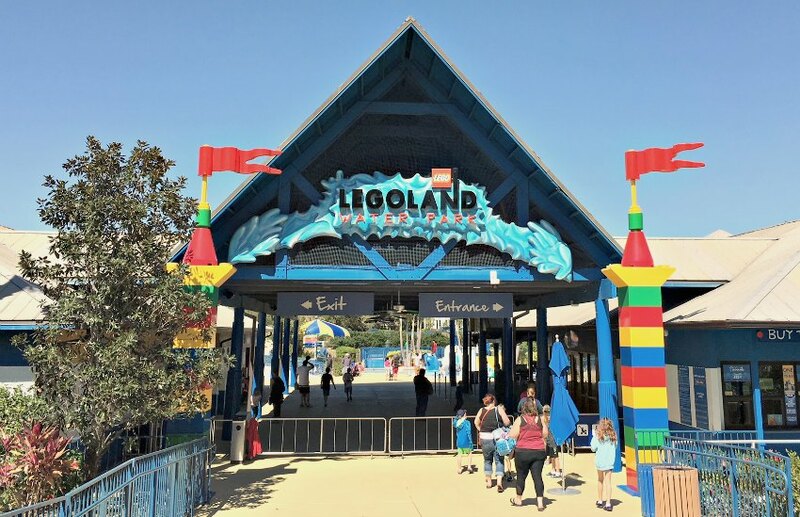 For my family, if we were going for only one day, I don’t know that we would add the water park because there are so many other fun things we love about Legoland. That said, if we planned to stay for two or more days, we would definitely want the option to go. It is lots of fun and my kids will always remember swimming first no matter where we go on vacation! Finally, if you think you might visit more than once in a year, you’ll definitely want to check out the annual pass and price it out. You might save quite a bit! There are plenty of hotels all around Legoland and I’m sure you’ve heard of the Legoland Hotel right at the entrance of the park. When it comes to the water park, this would be my first choice, although it is the most expensive. Staying right at the front of the park for a few days would make coming and going a breeze and you won’t have to worry as much about what to throw in your backpack. Plus, the rooms are themed and so adorable! On one visit, we stayed just across the main road at Legoland Beach Retreat and it was wonderful! You can drive into the park or take the tram and it’s super easy too, just not quite as walkable. 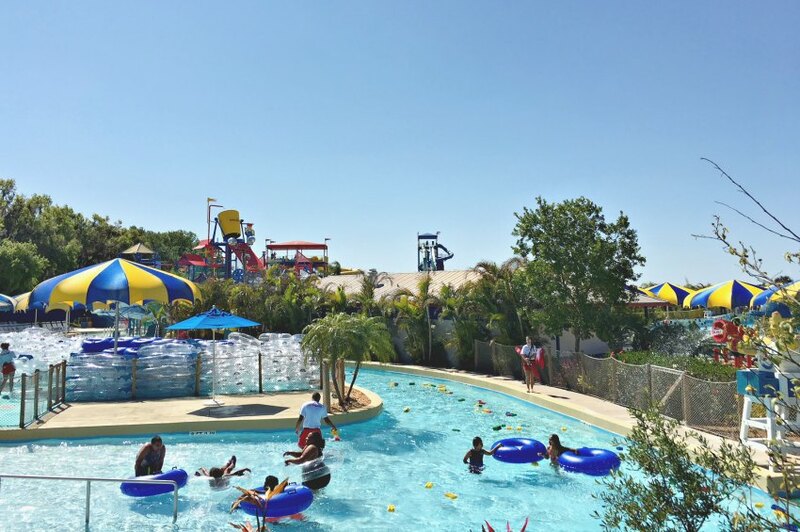 Check out our review of Legoland Beach Retreat to learn more. Overall, we loved our Legoland Florida Water Park visit and would definitely go again when we plan to be in the area for a few days. If you have any other questions about our visit, please feel free to let me know! If I don’t have an answer, I’ll be happy to try and point you in the right direction.